When I was a freshman, I was supposed to read The Geneology of Morals, and I remember at least passing my eyes over it, but I was completely baffled by everything in it. However, after hearing Allan Bloom tell me how Nietzsche had destroyed the Western mind, I decided to give it another shot. I don’t know what’s changed in the interim: either I’m a better reader, Beyond Good And Evil is a more readable book, or I’ve become more arrogant about assuming I understand things that I really don’t understand. (Probably all three). But I found it to be pretty readable. Nietzsche starts off by criticizing all the previous moral philosophers, by saying that their philosophies are more an expression of their prejudices than they are any sort of rational system. Then he describes how moral systems have changed over time and examines the difference between the morality of the ancients and the morality of modern times. In all cases, Nietzsche argues by assertion. He has evidence, but no chain of reason. In many ways, the book is written in the polemical style that began to predominate in the 20th century (e.g. The Feminine Mystique, The Organization Man, The Beauty Myth, etc etc). I found it somewhat refreshing. Why pretend to reason about things that reason cannot approach? I distrust Nietzsche’s philosophy, though, for the same reason that I distrust most philosophies: it’s subtly flattering to the reader. When you read a book like this, you come away thinking: I am one of the superior men; I am one of the ones who understands. And that may or may not be true, but truth has nothing to do with why you believe it–you believe it because it’s emotionally satisfying. And there’s an ugliness in that which I instinctively shy away from. 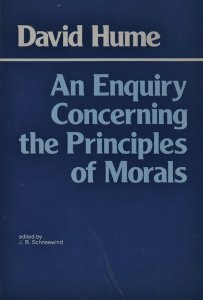 I also recently read a book that propounded a very different view of morality: David Hume’s An Enquiry Concerning The Principles Of Human Understanding. First of all, if you haven’t read Hume’s An Enquiry Concerning Human Understanding, I’d get on that. 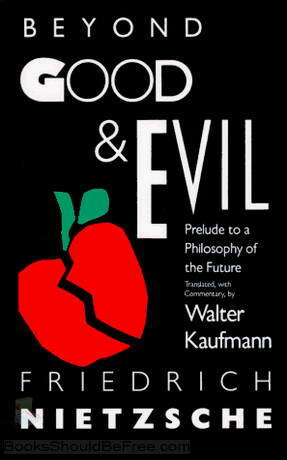 That is an extremely interesting, logical and well-argued book. After reading it, I was like, “There is no way we can apply reason to questions of value (questions of ‘ought’ rather than ‘is’). Case closed!” And I’ve never seen a need to reopen that case. But Hume was also a very good guy. And he did what most good-guy skeptics try to do: he attempted to find some rhyme or reason for proper behavior. The book itself is not particularly groundbreaking: it’s a study of the various qualities that we consider to be praiseworthy–courage, justice, kindness, etc. Hume argues that the common linkage between all these qualities is that they’re beneficial for society–that, in some way, mankind is instinctively programmed to admire societally beneficial actions. In Hume’s conception, man is, obviously selfish and self-interested…but he’s also capable of disinterested appreciation. Men admire virtue even when they see it in their enemies or in people who are long dead (i.e. in situations where virtue doesn’t benefit them) and they abhor vice even when it doesn’t personally harm them. Hume thought we didn’t need reasons as a prop to morality, because our moral intuitions were enough. However, the basic problem with reasoning outwards on the basis of our sentiments is..what if my moral intuitions are different from yours? What if I think something is good and you think it’s bad? How can we possibly be reconciled? One senses that Hume thought this was a pretty rare problem. The overwhelming feeling I got from this is that Hume’s fundamentally-nihilistic philosophy worked pretty well for him because, at heart, he was a very good guy who pretty much felt all the things that he was supposed to feel. However, I have to say that I, personally, neither admire virtue nor feel much perturbed by vice, so the whole philosophy broke down for me. Nor do I feel like morality often comes up in my life. In the world, we’ve constructed, morality almost seems unnecessary. I do pretty much exactly what I want to do, and rarely think about whether it’s right or wrong, and that doesn’t really seem to pose any problems. I think the only moral decision I can recall making recently is that I and my roommates were rolling through our neighborhood at 2 AM, blasting country music really loudly, and I insisted that we roll up the windows, because children were sleeping. That’s about the level that my morality operates at. Not gonna be jumping on any grenades anytime soon.